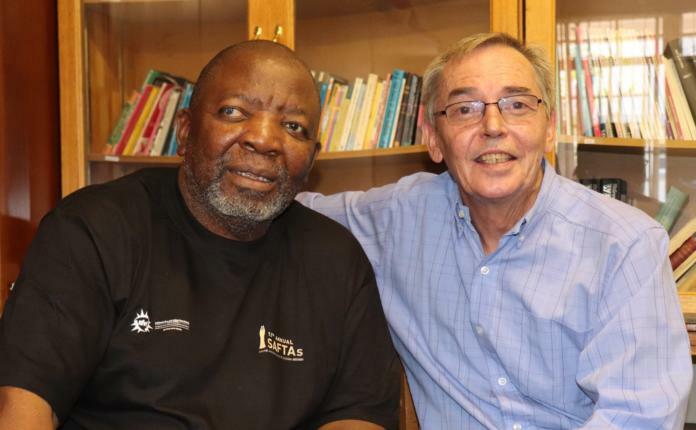 Award-winning actor and director, Jerry Mofokeng, will be honoured with a doctorate by the University of Free State. Mofokeng has a long spanning career in the local and international entertainment industry having featured in critically acclaimed films such as Lord of War and Academy Award winning Tsotsi. Bloemfontein Courant sat down with Mofokeng during one of his visits to Bloemfontein this week and he explained the humility he felt when the university expressed the intention to give him an Honorary Doctorate. “I received an email that told me that the university has decided to give me this and I thought, wow! The only other time I got that feeling was when I received a letter for the Safta awards (South African Film and Television Awards) when I was nominated for a lifetime achievement award. I was really excited,” said Mofokeng. The renowned screen and stage actor indicated that he was particularly excited to be locally recognised for his work and contribution to the industry. “It is okay to get honours and what have you from elsewhere. Last year I received the African Legend Award in the US, it is not like the Lifetime Achievement Award in South Africa,” said Mofokeng. “I do not know if I will get another doctorate but I got this one at home and that means a lot,” he added. Mofokeng will receive a Honorary Doctorate from the Faculty of Humanities at UFS on 28 June 2019. The actor was nominated by the Dean of the UFS Drama Department Prof. Nico Luwes. “After so many years of hard work and dedication I think that it is great for the university to associate with an artist and human being of his calibre,” Luwes said. Mofokeng is currently in town to direct The Island, a play written by Athol Fugard, John Kani, and Winston Ntshona and based on Robben Island during the Apartheid era. “I decided to direct The Island, and I felt that I would not do the ordinary version. I made the play with two women, One MoSotho and another Afrikaner because the freedom we enjoy today does not include only men,” said Mofokeng.